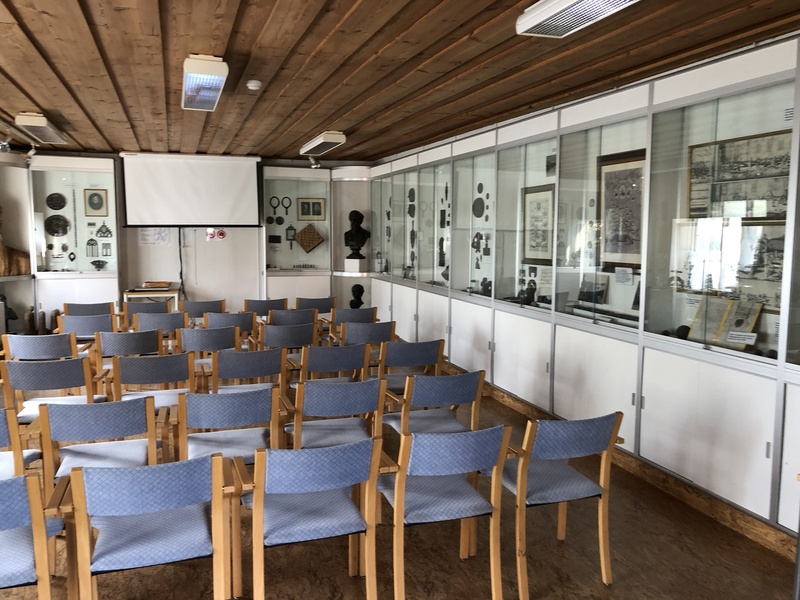 In October 2018 two of our club members, Melissa and Carl went over to Sweden to visit Carl’s family, while there, they went to visit the Finspång museum to find out more about where some of the cannon found on Gun Rocks were made. 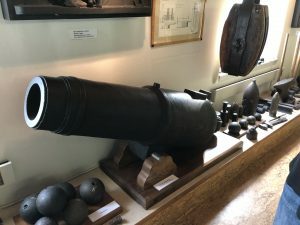 While there they met a very friendly museum guide, who gave them many facts and figures about the cannon. 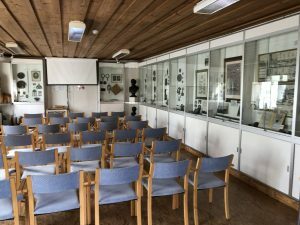 For a summary of this information read on… amply illustrated with some lovely photographs! 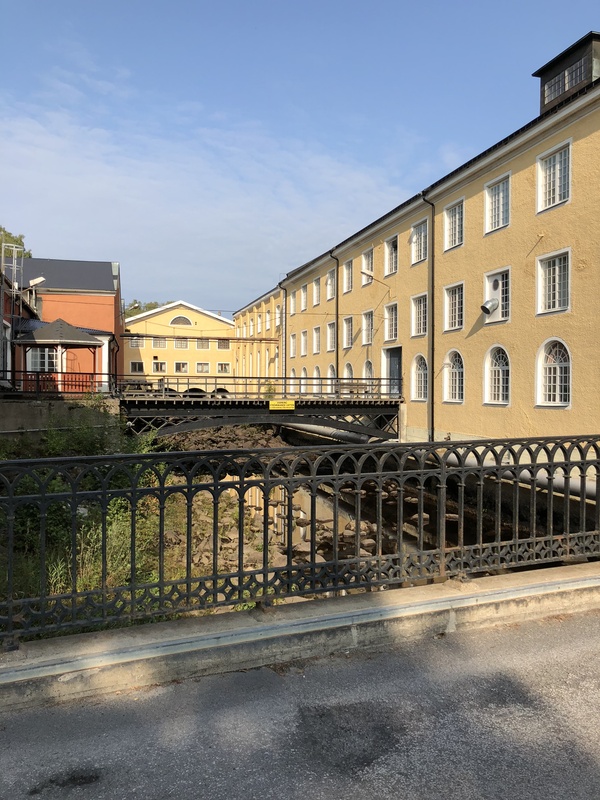 The first industries were established in Finspång in 1580 when a factory for cannon and cannon balls was chartered. The industry was to continue for 300 years. 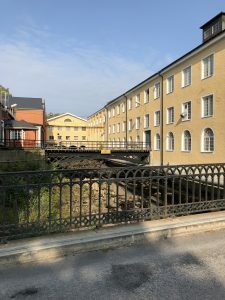 The Finspång foundry was one of the largest in Sweden, originally owned by the royal family; but in 1618, the foundry was gifted to Dutch nobleman and merchant Louis De Geer. 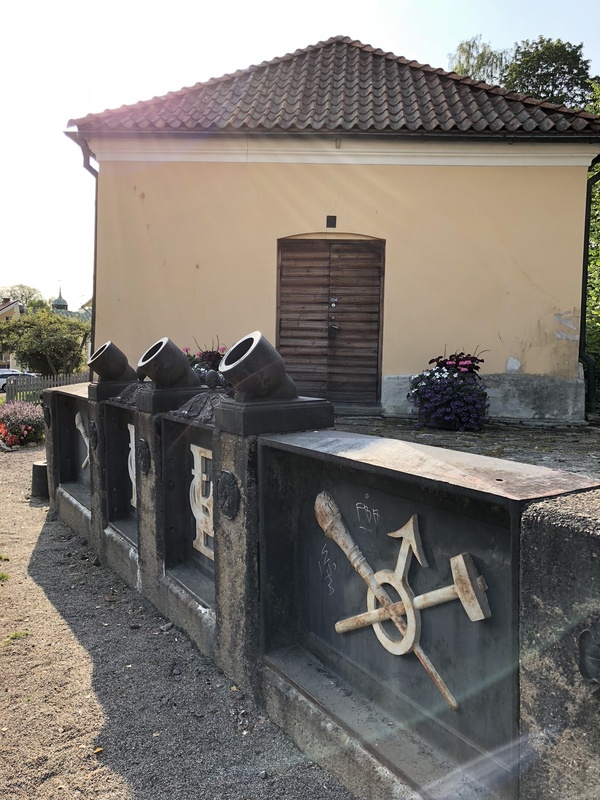 He and his descendants continued to run the foundry for the next few hundred years and shipped cannons all over Europe. 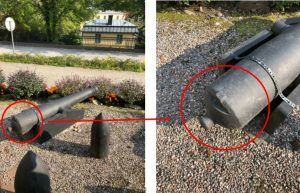 The cannons were sent to The Netherlands for distribution by sea, a potential explanation as to why Swedish cannons were found on a Dutch ship. Above is a model cannon, of similar type to those found at gun rocks. Do note the ‘ears’ also known as trunnions, on the side of the cannon. These are used to mount it, and allow it to pivot up and down while on its mount. This cannon was designed for use on land. It has wheels so can be moved around. The picture above is of a specifically designed marine grade cannon. Note the lack of ears or trunnions on the side. For cannon which were stationary and used on ships, they often were made without trunnions/ears. This was usually to save space on the crowded deck. 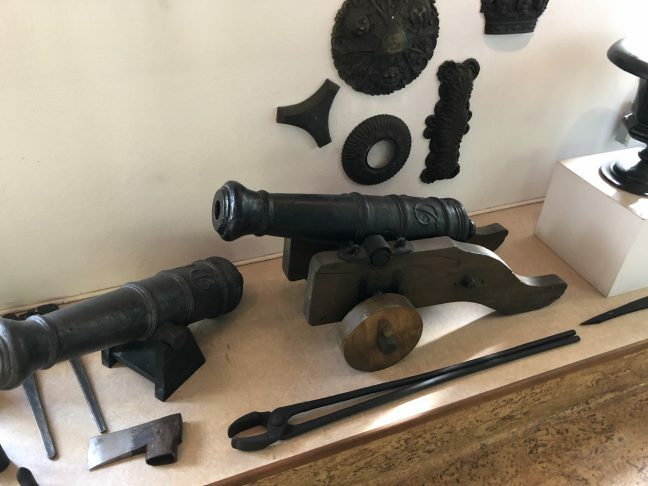 In addition, as these cannon would be stationary on deck, their mounts have no wheels. The two images above show a cannon made in the same foundry, with ears or trunnions for mounting. Also note the notch on the back which means the cannon could be used both on land and at sea. For use at sea, the notch would be used to secure a rope. 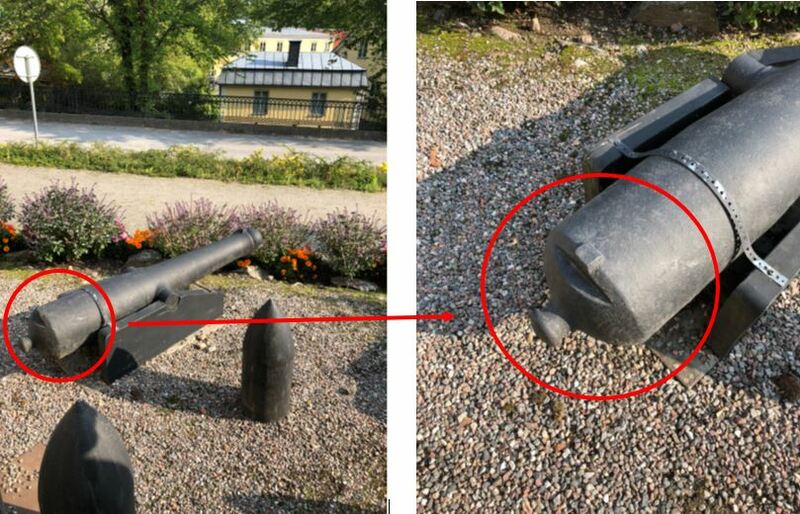 This would prevent the cannon rolling back from recoil, if it was mounted with wheels.